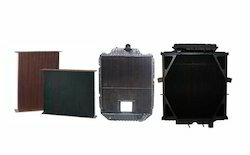 We have positioned the name of our organization as a reputed name to offer Coal Hauler Radiator. Superior grade brass and copper are using for the manufacturing of these radiators that makes them durable. Our products are highly demanded amongst the clients for its sturdiness and corrosion resistance. Further, these are developed as per the application requirements of our customers. 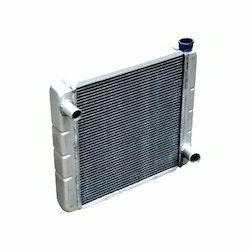 Our company has achieved widespread recognition for offering Tractor Radiator to the clients. We keep in mind the clients’ given specifications and design our range in compliance with the international quality standards. Furthermore, we stringently check each and every phase of the production processes to make sure that they are free from any defect. Our precious clients can avail this radiator from us at reasonable price. 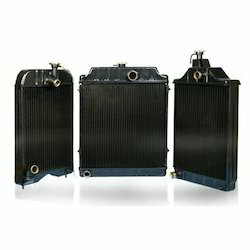 Our dexterous team of professionals enable us to manufacture high-quality Compressor Radiator. A standardized process is followed for their manufacture. These are made available in multiple colors and dimensions as per the requirements of the customers. 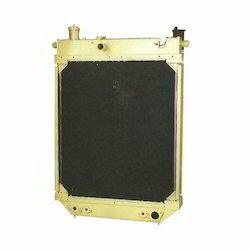 We provide our customers with highly efficient Compressor Radiators which are manufactured from quality raw material like copper, Brass etc. These are corrosion resistant and are known for their efficient performance. We are one of the leading names in the market engaged in offering a wide range ofDG Set Radiator. These D.G. 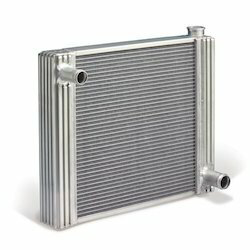 Set radiators are known for fine performance for engine cooling in various industries such as petrochemical & petroleum refineries. The provided range is designed using optimum-grade material which is sourced from most trusted and authentic vendors of market with the aid of our procuring agents. Further, our experts strictly check these products, so as to ensure reliability and optimum performance. We are listed amongst the prominent manufacturers and exporters of Industrial Radiator. With the years of industrial experience, we have been able to manufacture and supply a wide range of Industrial Radiators. These radiators are available in a number of industrial specifications that serve the requirements and demands of our valued clients in an effective manner. We have an experienced team of quality controllers, who takes care of the optimum quality of our range. We have reasonably priced our range. 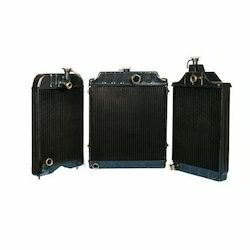 We are engaged in offering Automobile Radiator to our clients. These are made from very high quality raw material which ensures its durability and well performance. Owing to its excellent performance and smooth operation, the offered radiator is widely demanded among our esteemed clients. These automobile components are available in different types and we offer at market leading prices. We Premier Engineering Works are among the leading names in the market that are engaged manufacturing and wholesaling all types of Dumper Radiator. These are manufactured by a team of diligent professionals in accordance with industry laid norms and guidelines. To meet the diverse needs of varied sectors and industries, we offer these radiators in variegated sizes and technical specifications. 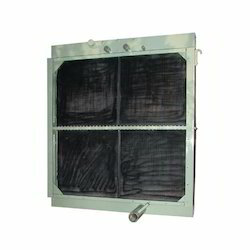 We are among the prominent manufacturers and retailers of Excavator Radiator. Under the guidance of our professionals, we utilize cutting edge tools, technology and machinery in the production of these radiators. 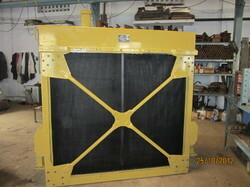 We offer a wide range of Excavator Radiators that are durable and precision engineered thus safe to use. Apart from this, we offer the facility of altering these as per our clients’ specifications. 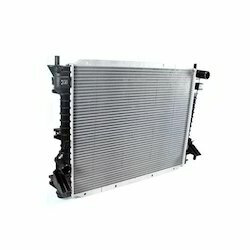 We have marked a distinct and unique position in the industry indulged in providing an extensive collection of HEMM Radiator. These radiators are developed under the able-support and strict guidance of the industry experts, who have gained rich industry experience. Moreover these are strictly checked by our team of quality auditors to maintain their top quality and to deliver a flawless range to our customers. We offered to our client at cost effective prices. We are the manufacturer of Thermic Fluid Radiator for different industries using Aluminium Extruded Finned tubes. Compared to other types this radiator gives 100% heat transfer and the drying time also reduced. As the fin is Aluminium Extruded type it gets mechanically bonded with the base tube, so there will not be any air gap between fin and the tube. So there will not be any heat loss. 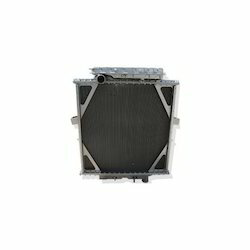 These technically improved Radiators have found their use in variety of applications and are highly demanded in the market.